Billy Elliot takes us back to Britain in the 1980's, a time when the 1984-85 coal miners' strike was in full swing and the working class struggle was gripping and dividing the entire nation. Amongst it all is Billy, a young boy who wants to break free of his roots and make it on his own by taking up ballet- a skill that no-one would expect of him. Billy Elliot The Musical is the West End smash hit show based on the popular 2000 film. It is a story of bravery and standing up for what you believe in, with a large dollop of hope and triumph over adversity thrown into the mix as well. The London stage show features original players from the movie, including writer Lee Hall (screenplay), who penned the book and lyrics for the production. Sir Elton John created the music for the stage show and helped set it apart from the original movie. It means that whether you are familiar with the original film or not, you will find something to enjoy with the stage show production, which carries a heart warming plot and a talented cast leading the way. Billy Elliot tells the story of a young boy struggling to fit in amongst the background of the miners strike in North East England. Margaret Thatcher's plans to close the pits had put the country in complete turmoil with a power struggle raging right through British society. Billy wants nothing to do with this though and has no plans to follow his father and brothers to work down the mines, or even to be the boxer his father desires. Instead he has found a new pass time, in the world of ballet, which proves to be something that he discovers he is good at and even enjoys! Billy is fearful of his family's reaction at first and decides to keep his new hobby a secret, but soon he realises that all his family is there for him, after eventually coming to terms with the path that he has chosen. With this in mind and determination to succeed, Billy tries his best to win a highly coveted place at the prestigious Royal Ballet School. Billy Elliot The Musical first opened its doors at the Victoria Palace Theatre in 2005, after which it has managed to land four Laurence Olivier Awards and nominations for a further five. As a result, new versions of the show have opened all around the world, from Broadway and Canada to Australia and even Japan. Its homes worldwide have added to its list of awards and accolades, cementing its status as a new star of the theatre worldwide. 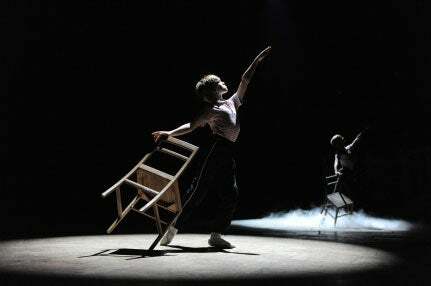 Avoid disapointment and book your Billy Elliot tickets securely online now. (Billy Elliot is not recommended for children under 12 due to some strong language).